HAVE YOU EVER BROKEN A LIGHT COVER? JUST USE AN OLD MASON JA - ProudMummy.com the Web's Community for Mums. HAVE YOU EVER BROKEN A LIGHT COVER? 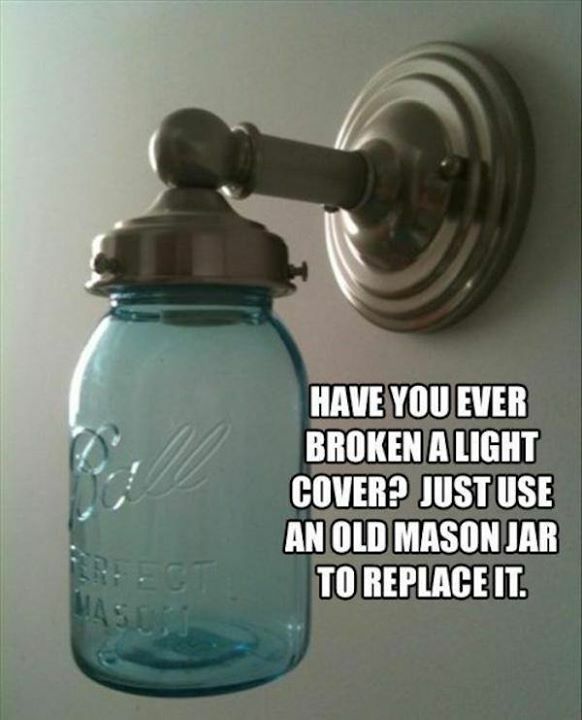 JUST USE AN OLD MASON JAR TO REPLACE IT.